Pastor Paul is a fourth generational preacher, following after his father, grandmother and great grandfather who was blessed to be a part of the Azusa Street Revivals. Pastor Paul hosts a weekly telecast of the "Coming Apocalypse" with Family Broadcasting Corporation. This reaches over 23 million homes. Pastor Paul is also reaching the world through his internet ministry on Youtube as PaulBegley34 which has millions of views and thousands of subscribers. As an internet radio talk show host, Pastor Paul broadcasts on New Livestream, PaulBegley34, and Periscope TV Monday - Friday from 12noon - 2pm ET , Prime Time LIVE Monday-Thursday 10pm-12am ET. , and Sunday Night LIVE from 7pm - 10pm ET. These outlets allow him to reach the world with the message of salvation and Bible Prophecy as it relates to current events. Many nations are represented and salvations continue to increase exponentially. Pastor Paul caught the world's attention with the revelation of the Hosea Prophecy and Texas Blood Lake; which has been featured in Time magazine, CNN and many mainstream networks and magazines. As an evangelist, Paul holds revivals across America and internationally. Paul has held crusades as far away as Orissa, India. Pastor Paul has pastored for the last 32 years in the Starke County area of Indiana and currently co-pastors with his father, Charles Begley, at the Community Gospel Baptist Church in Knox, IN. 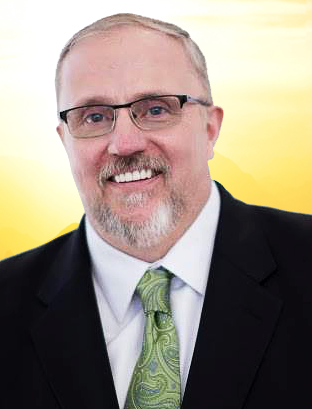 Pastor Paul also sings praise and worship and has recorded gospel CDs called "Pastor Paul Begley Country Gospel" and "Wayfaring Stranger". Heidi is Paul's wife of over 30 years. Heidi and Paul are high school sweethearts. They grew up together in the small town of North Judson, IN. Heidi and Paul have been blessed with 3 sons and 6 amazing grandchildren. Heidi is a retired nurse of 25 years and is currently an author and speaker. Heidi runs the prayer group Rachel's Heart based off of Jer 31:15-17 where Rachel weeps for the return of her children to their borders. Charles Begley was saved as a young man and soon answered his call to the ministry. He has founded three churches in his lifetime and has seen many souls saved. He is also a great man of healing faith by the laying on of hands. Charles continues to pastor the Community Gospel Baptist Church in Knox, IN. He leads his flock with compassion and wisdom in the midst of one of the cornfields of IN. Bud Fields was Paul's great- great-grandfather. He was a simple country preacher from the Appalachian mountains of eastern KY, but he was quite an anointed minister. He was well known around Hazard, KY and in particular Mason Creek. In the midst of the Azusa St revival that was taking place in California, Bud Fields, desire for the presence of God sent him on a cross country trip. He was touched by the Holy Spirit and brought that fire back to the hills of KY. He was said to have traveled by horseback throughout all of eastern KY. He preached on porches of homes, school houses, and churches in a powerful way during the early to mid 1900's. Myrtle was the granddaughter of "Bud" Fields. Myrtle had a life of adversity being orphaned at a young age. This life of adversity, although filled with hardships, gave Myrtle the determination, tenacity and boldness that moved the mountains in her life. She was a licensed ordained minister by the Full Gospel Church with an emphasis of laying on of hands and praying for the sick. She was a frequent visitor of emergency rooms and intensive care units where she would bring her oil for the anointing of the sick. Many miracles of healing took place after she would pray.